For two weeks only (10/28~11/2), the Granrodeo purikura backgrounds will be available at the namco Umeda and Razona Kawasaki Plaza stores. 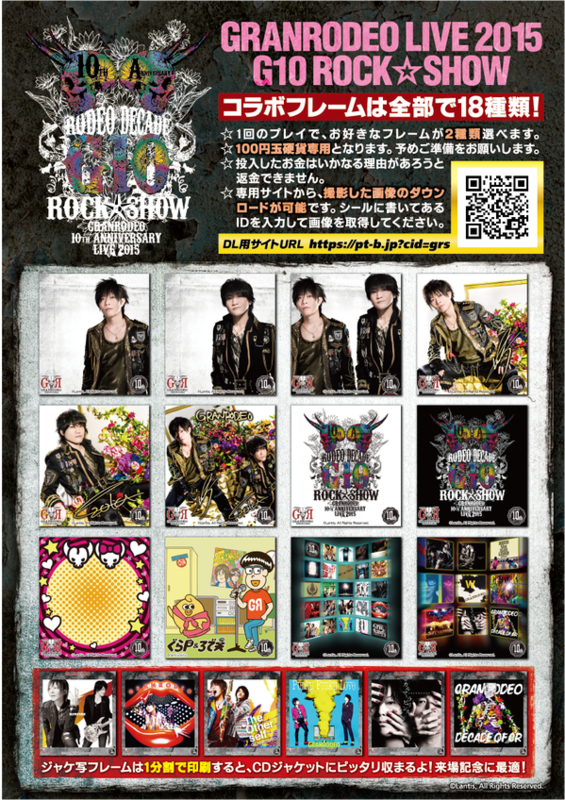 Bandai Channel is running a special feature for members (sign up here, it’s free) of Granrodeo music clips (free) and live concert footage (648 yen for a week’s time of viewing). The full listing can be found here. 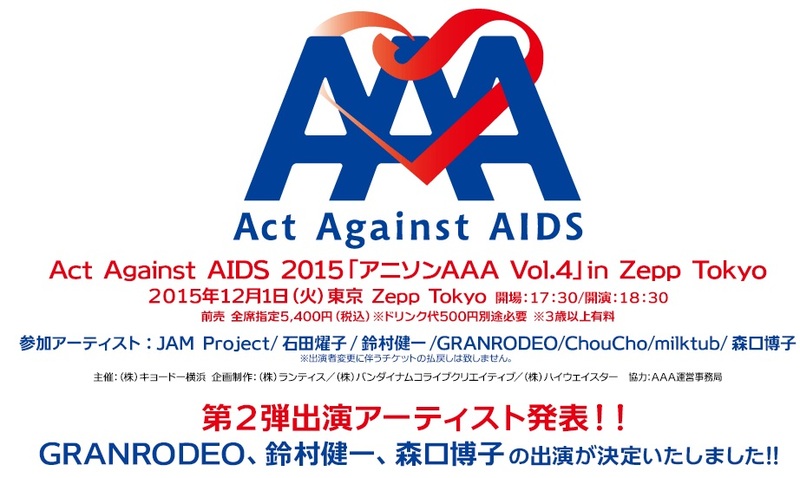 Granrodeo will join Jam Project, Suzumura Kenichi and other Lantis artists at Zepp Tokyo this December for Anison Act Against Aids (AAA). 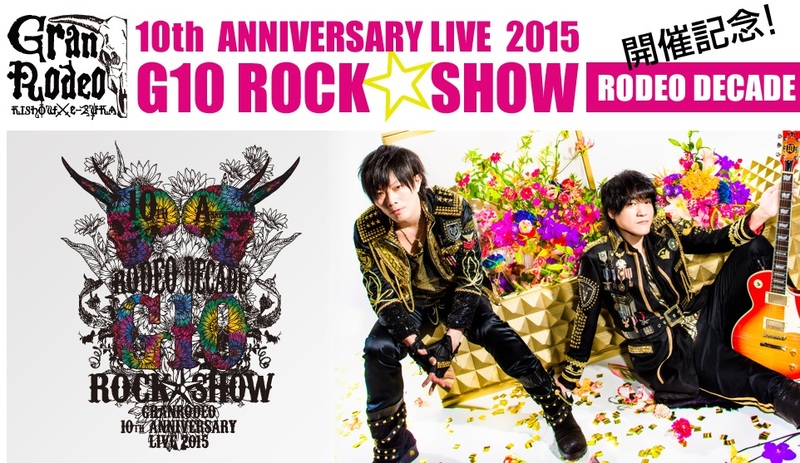 Ticket lotteries have already started. Details can be found here.